In a review for Coherence, I was (jokingly, I assume) accused of enjoying the leading lady perhaps more than the film itself, as I used her image multiple times in my media for the article. Emily Baldoni is beautiful, but she was also the star in that otherwise ensemble-style sci-fi flick, so my use of her face was twofold I guess. The same can be said about Logan Marshall-Green as I use his picture here; he sure is an attractive man, but his character acting as the hub of the claustrophobic action sets him apart as the man to receive the lion’s share of the credit for the success of the film. Coherence and The Invitation work for the same reason, creating a palpably upsetting story, shoving it into a box, forcing the audience to experience everything, and never apologizing for making us feel incredibly & enjoyably uncomfortable. Two years after a horrific accident led to the end of his marriage and the scattering of his L.A. friends, Will is back in the house he & his wife once made a home, this time as a guest to a secretive dinner party hosted by his wife, Eden, & her new husband, David. They’ve been away in Mexico all this time, and Eden has returned changed, seemingly no longer haunted by the terrible events of the past. Will hasn’t moved on quite as quickly, and although he attempts to step back into the flow of friendship that now greets him, he can’t help shake a suspicion that all is not as it seems. As events in the house become more awkward and begin to seem more odd, Will’s paranoia doesn’t look as silly as it did at the beginning of the party. 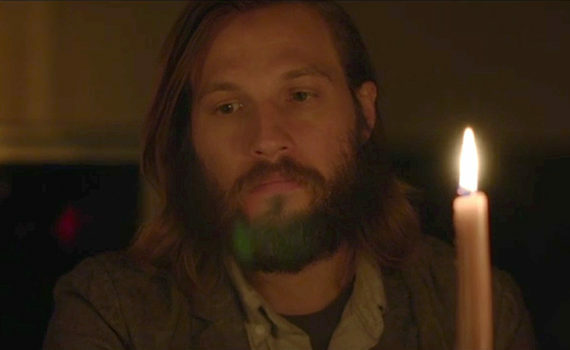 Where Coherence was sci-fi, The Invitation is pure thriller, but they both lean heavily on a plot foundation that I really dig; the dinner engagement. Bring a bunch of friends into a swanky home, have them reunite, set the characters’ backstories, and then lay something wicked on us just for fun. It’s exquisite torture for those who love the style, when you can’t escape the situation or the room and most likely no one goes hope unchanged and/or alive. I could have done with a touch more cerebral and a touch less physical, but The Invitation is mystery, drama, and horror all rolled into one wacky ball, ending up as watchable of a movie as I have seen in a long time. LMG was solid as the lead, doing his job quietly at first, letting us soak in the other characters, and then taking control when the story began to go wild. No other actors really jumped out, but the ensemble was fine, the suspense was real, the action was intense, and film was surprisingly strong.